from our broad knowledge of therapies. True wellbeing is fundamentally an outcome of living in right relationship with oneself and life. When we live in right relationship with ourselves, our life force naturally flows, giving rise to a natural state of total health and happiness. This is also YOUR birthright! Our intention is to support you in returning to total health as effective and efficient as possible. Through a wide range of therapeutic modalities, that synergistically enhance your healing potential, we meet your individual needs. We believe that your body can completely heal itself as long as it receives the optimal support to do so. It is by addressing the root cause dynamics of your particular imbalances that total healing becomes possible. This is our healing vision for you! 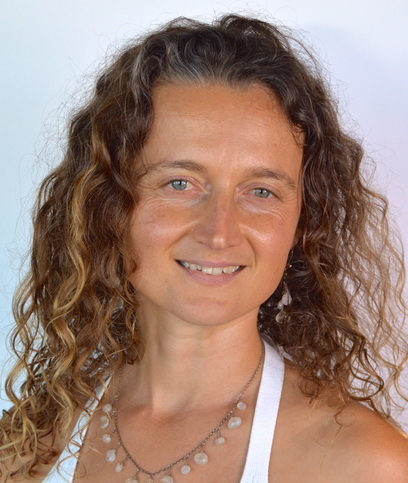 born in 1962, is a German Naturopath who currently practices Clinical Nutrition and Herbalism, Nutritional Kinesiology, Functional Medicine, Chi Nei Tsang and teaches Yuan Gong Qigong. Hasso has aquired an eclectic background in healing arts from studying primarily in Germany, India and the US where he was trained in diverse styles of Massage, Phytotherapy, Homeopathy, Iridology, Sclerology, Yoga Therapy, Vedanta, Ayurveda, Acupuncture, Jyotisha, Nutrition, Aromatherapy, Chi Nei Tsang, Viceral Manipulation, Cranio-Sacral Therapy, Tai Qi, Qigong, Plant Spirit Medicine, Shamanism as well as Vision Questing. All his studies have helped him greatly to gain deeper vision. Since 1994 he has been serving his local community through his integrated natural health care practice. He believes strongly that by supporting the natural physiology of our bodies we can restore total healing. For him all health challenges are but an invitation to build more intimate relationships with our bodies, emotions and with Spirit. The focus of his work is to activate the inner healer by tapping into ancient wisdom traditions as well as utilizing cutting edge contemporary healing systems. is a healing arts educator, bodyworker, movement therapist and a dancer, dedicated to support individuals awaken their healing potential within. By integrating her skillful understanding of various modalities with her intuition she assists her clients in returning to their natural state of wholeness and happiness. She has trained in Structural Integration, Massage Therapy, Somatic Movement, Continuum, 5 Rhythms, Qi Gong, Inquiry Process, Body-Mind Centering and other mindfulness practices. By applying wide range of embodiment practices, and through a close partnership with her clients, she can effectively help her clients cultivate the essential resources that are needed for the healing process to take place. One of her deep passions is working with women as a catalyst for the awakening of their wisdom, creativity and radiance. Experiences from her own personal transformation have opened a doorway to become a guide for other women in their journey. Her prayer for each of us is to remember the potency of love we carry in our own hearts. In that intimate embrace everything is possible.